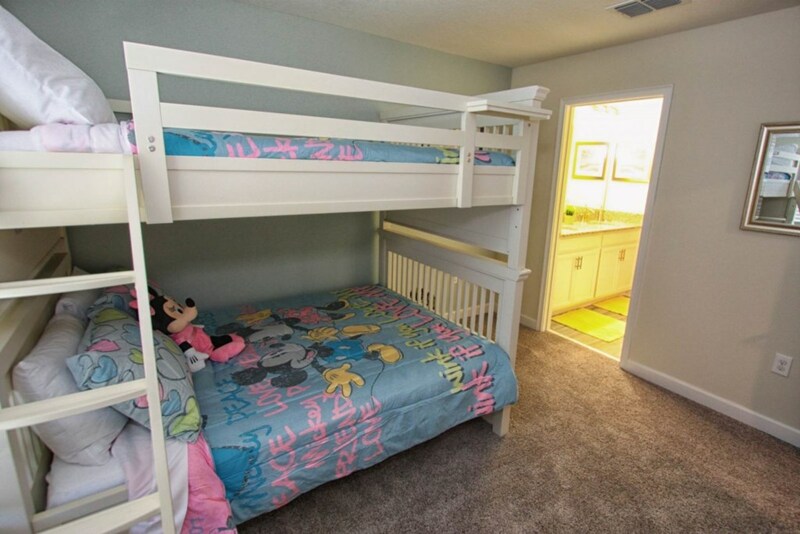 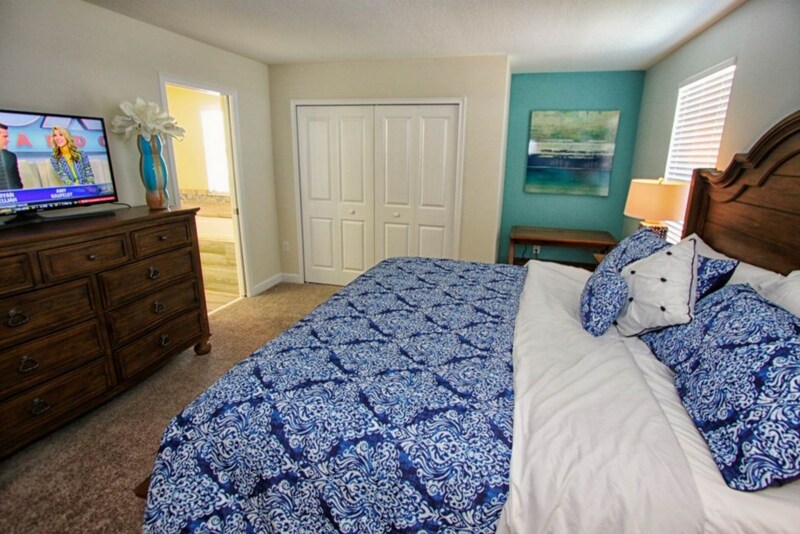 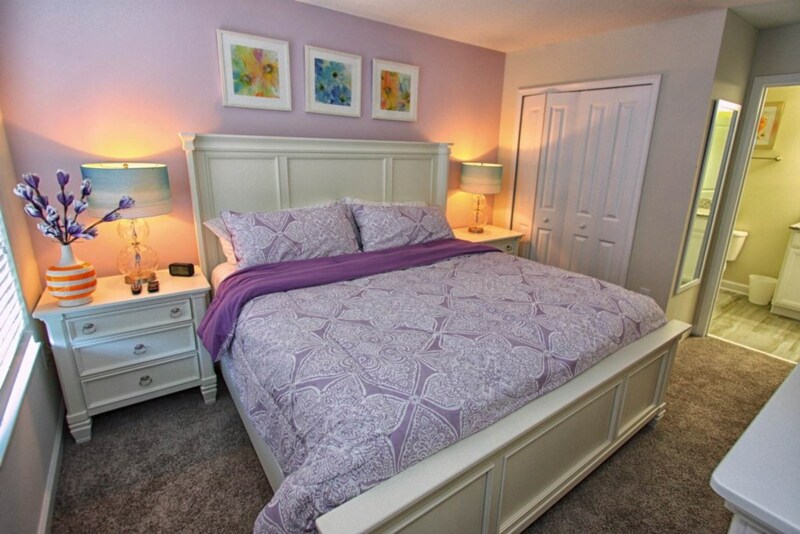 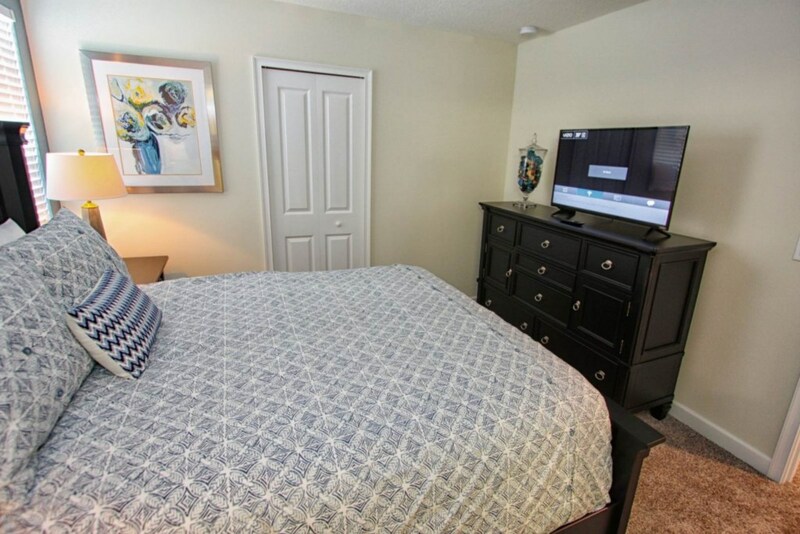 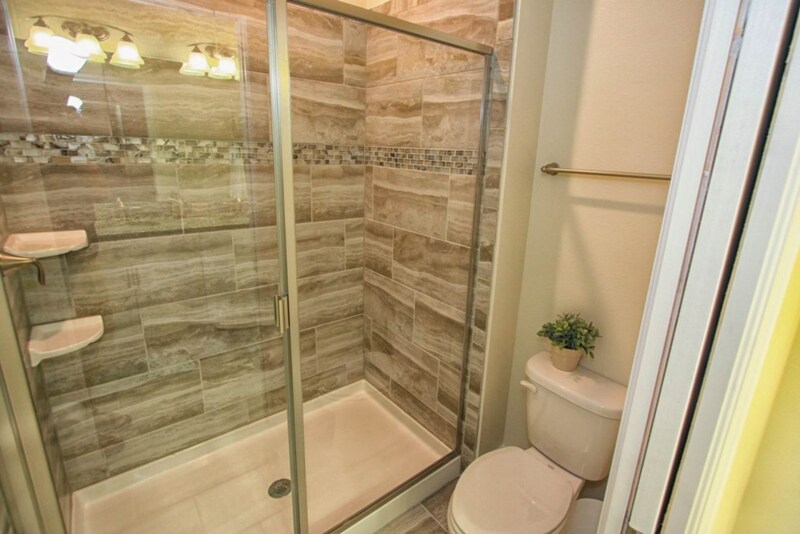 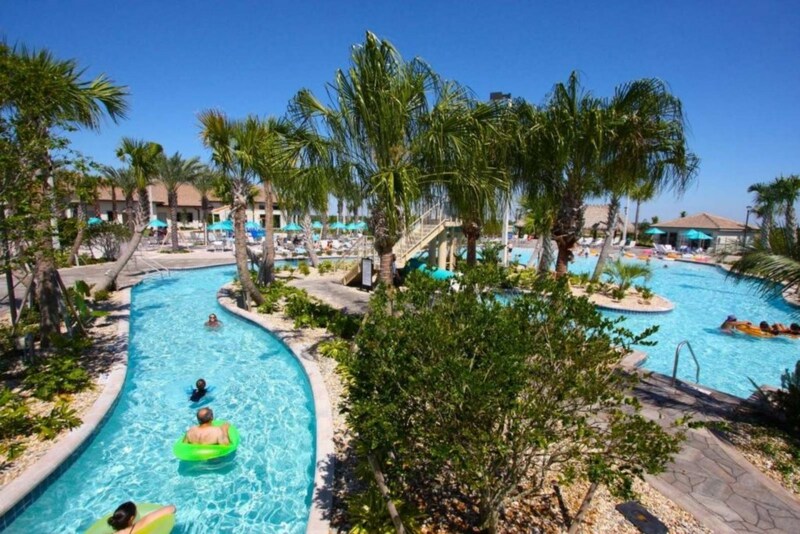 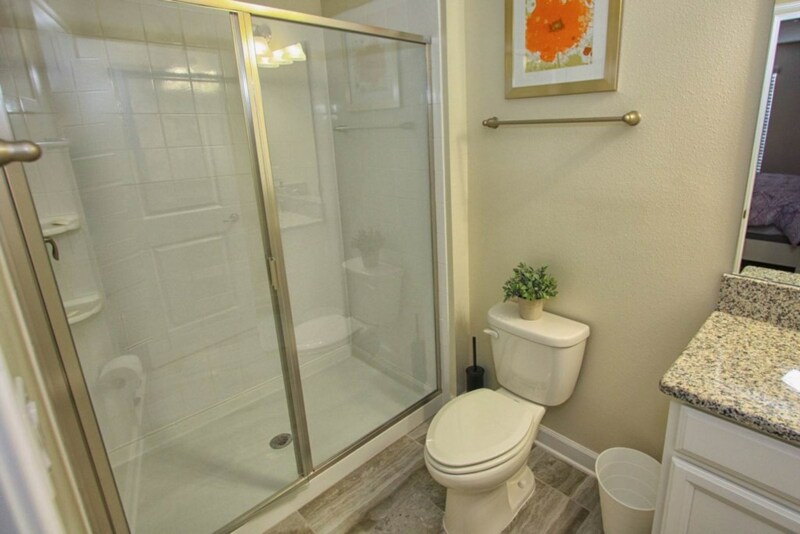 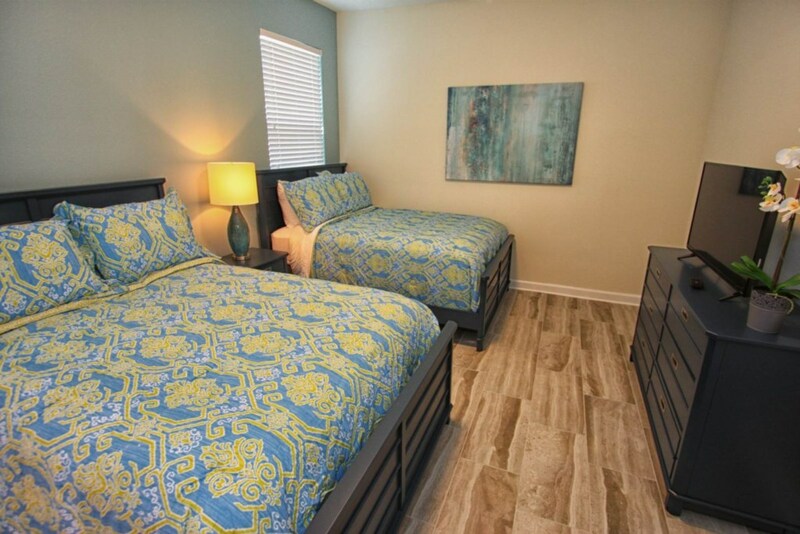 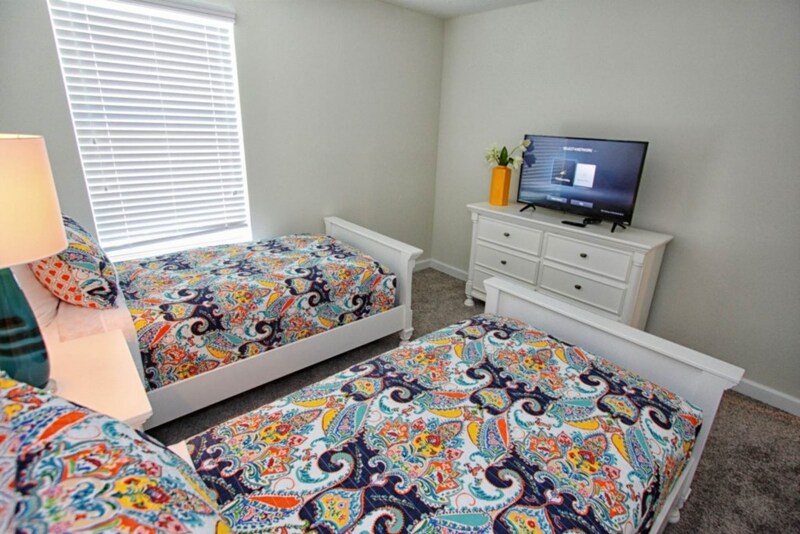 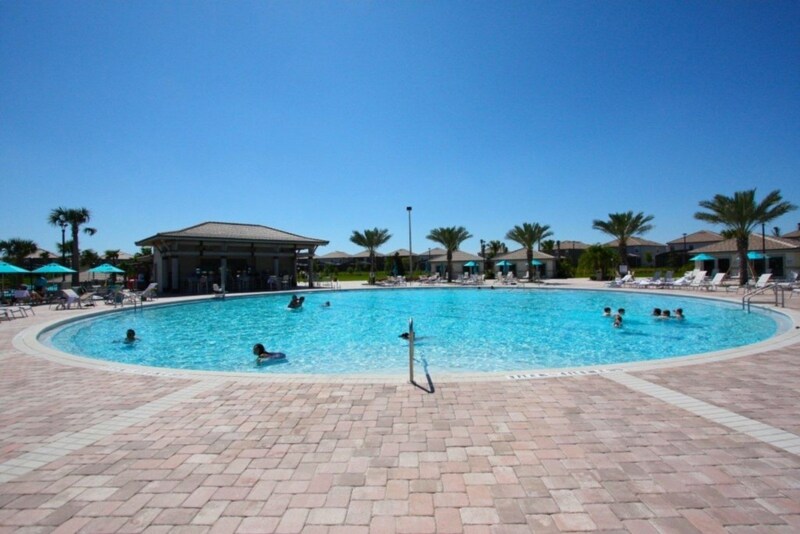 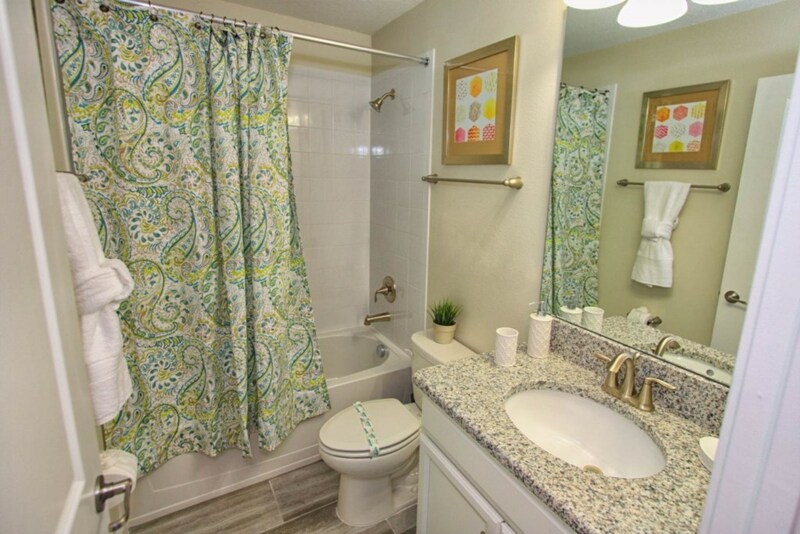 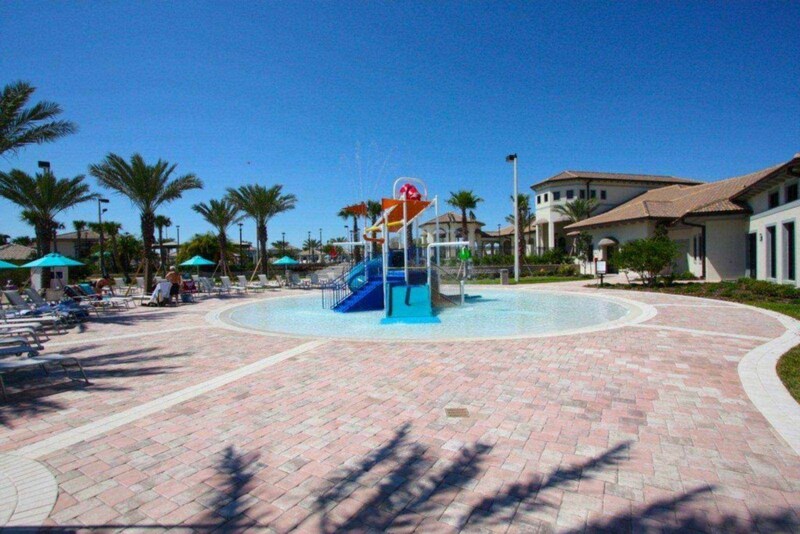 This beautiful, spacious and professionally decorated home is located in the ever popular community of Champions Gate, less than 15 minutes from the entrance of Walt Disney World; less than 10 minutes from endless shopping & restaurant options and right in the heart of the vacation capital of Florida! 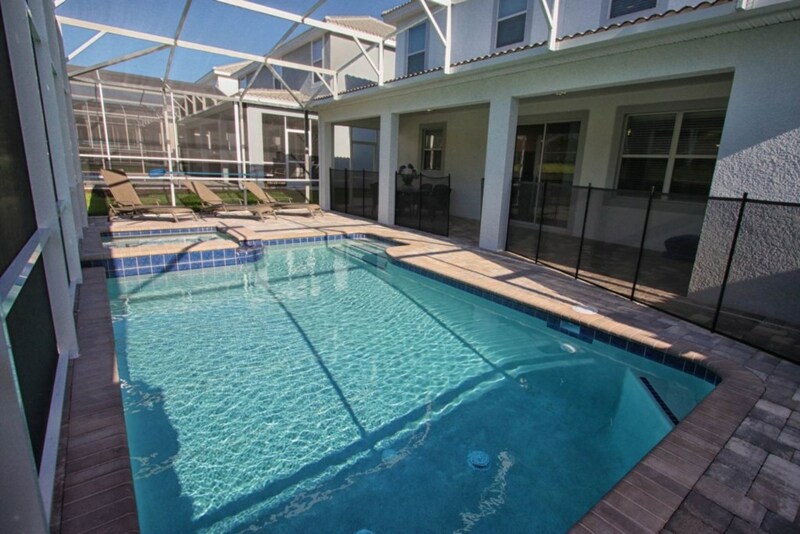 This brand new, 7 Bedroom 6 Bathroom Pool Home will offer you more than you could dream of in a vacation home! 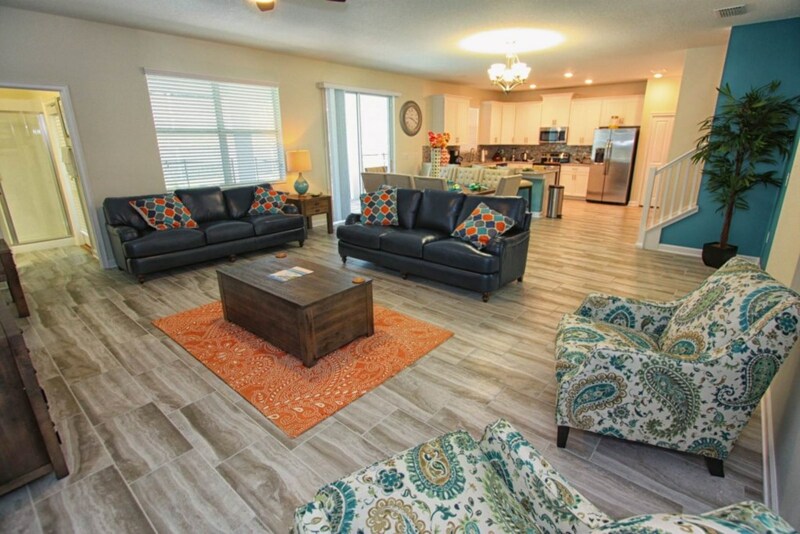 As you enter the home, the open floor plan greets you with the spacious Living Area, Gourmet Kitchen and spacious Dining Area and a view to your own Private Pool. 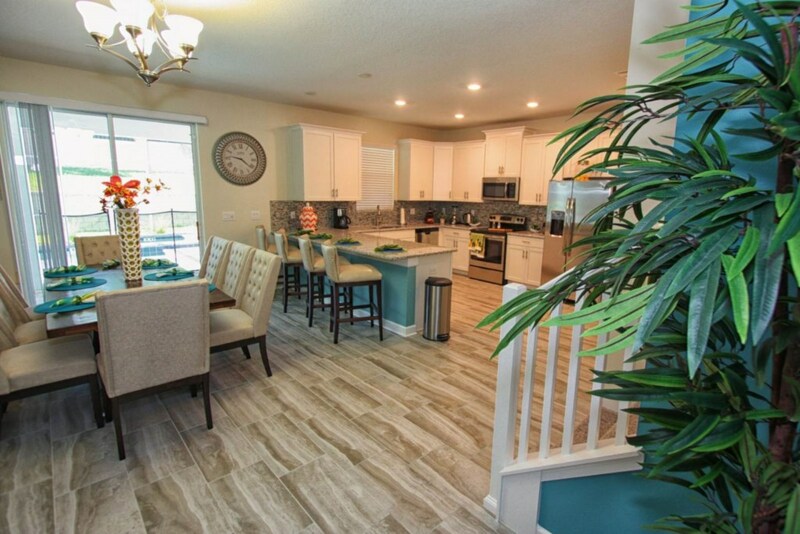 Your Gourmet Kitchen is a chef’s envy. 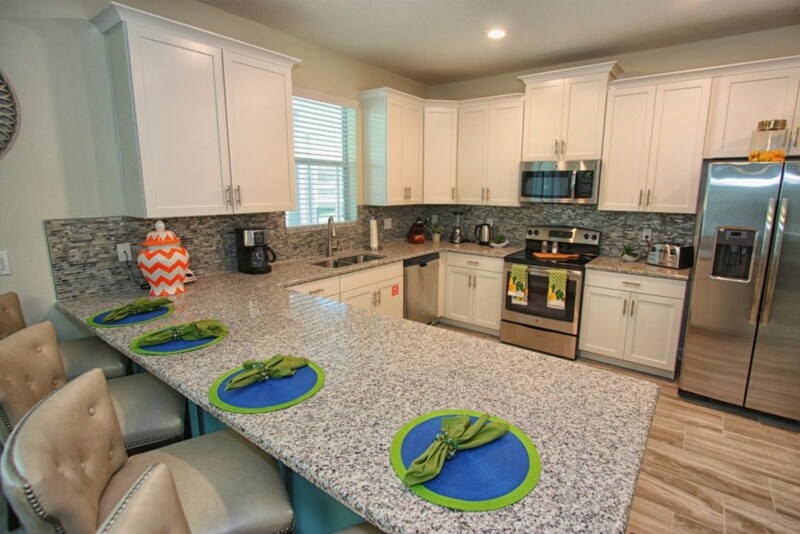 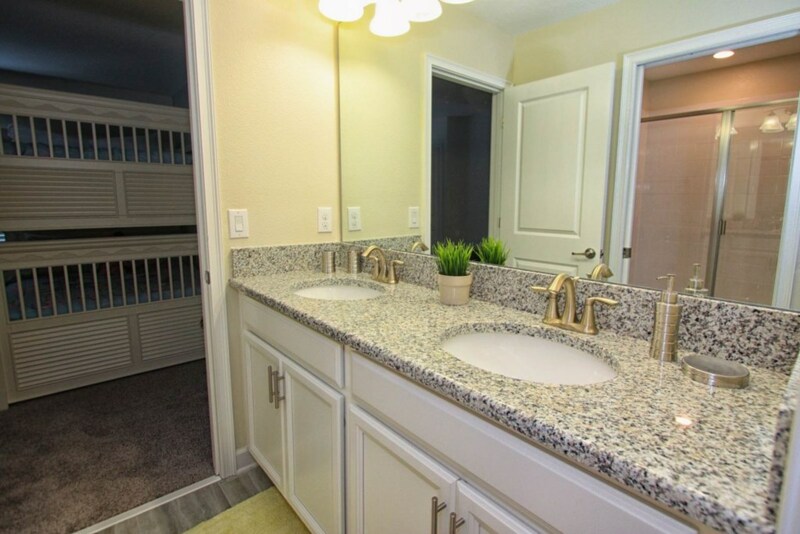 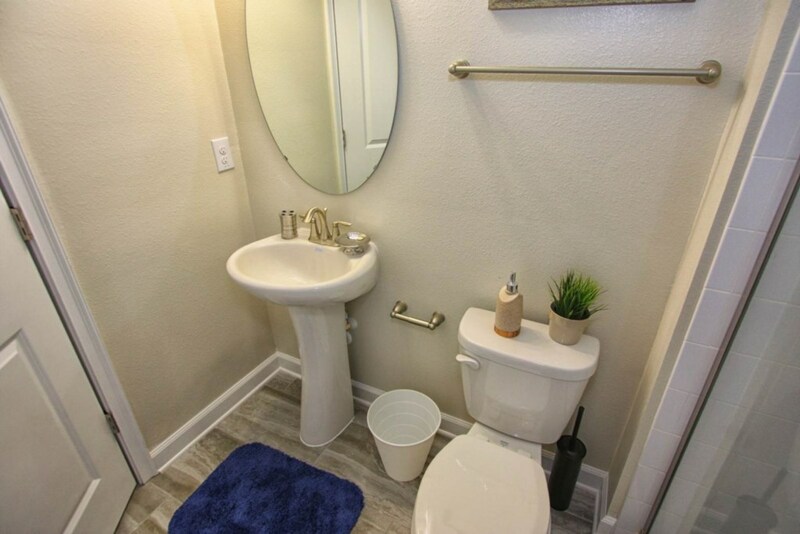 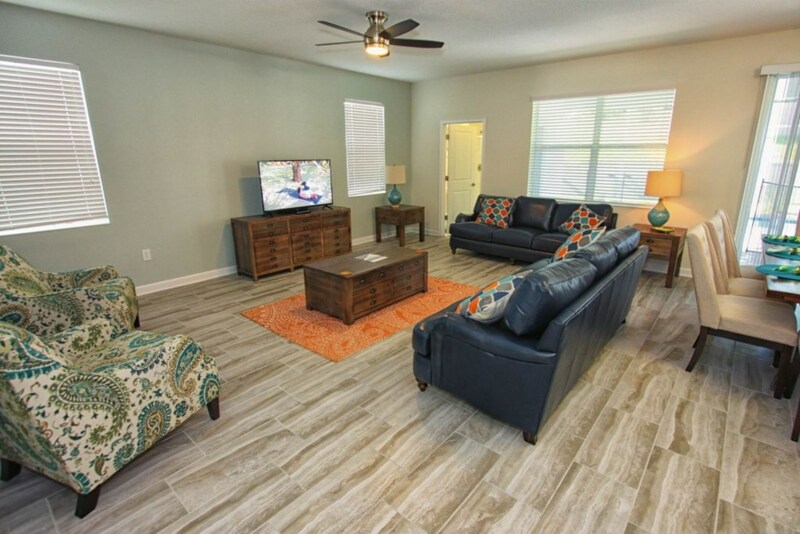 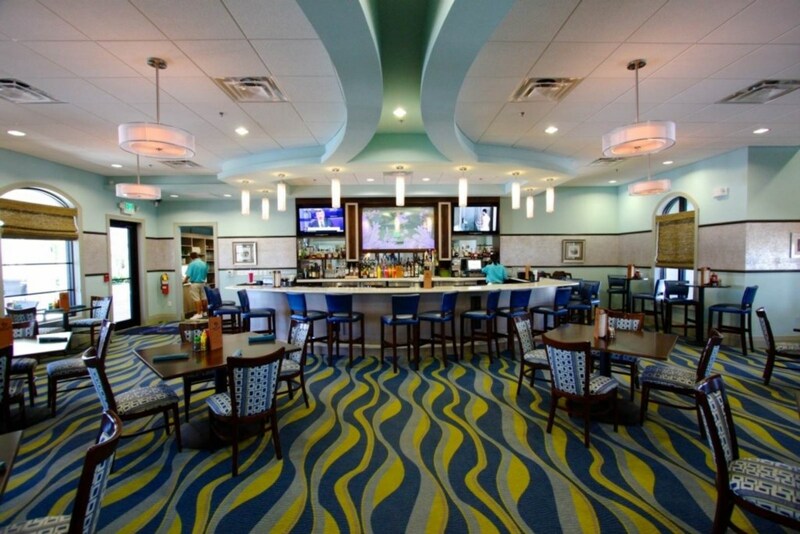 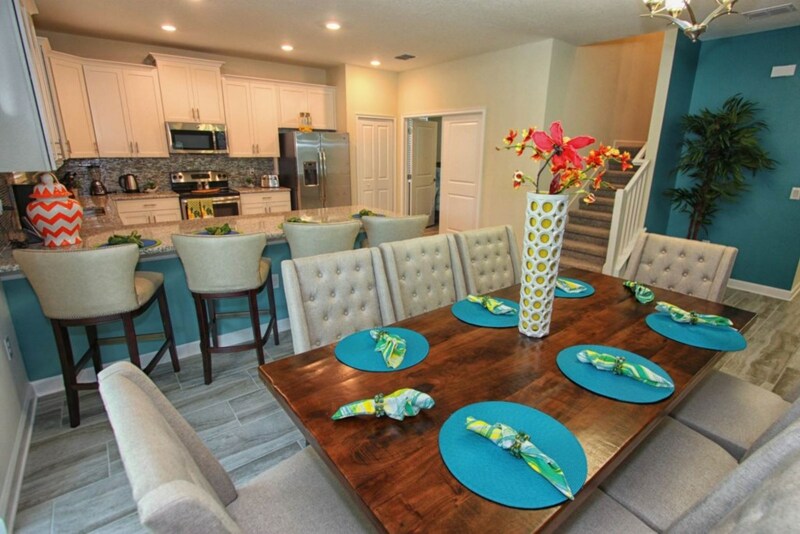 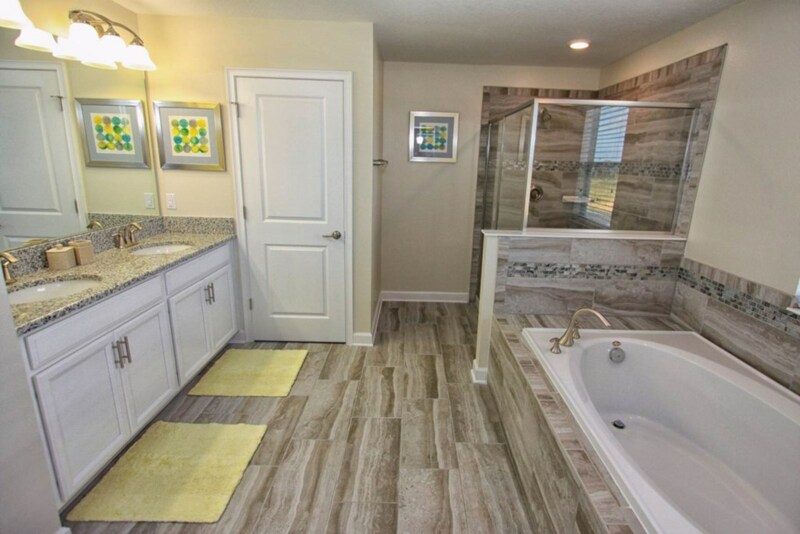 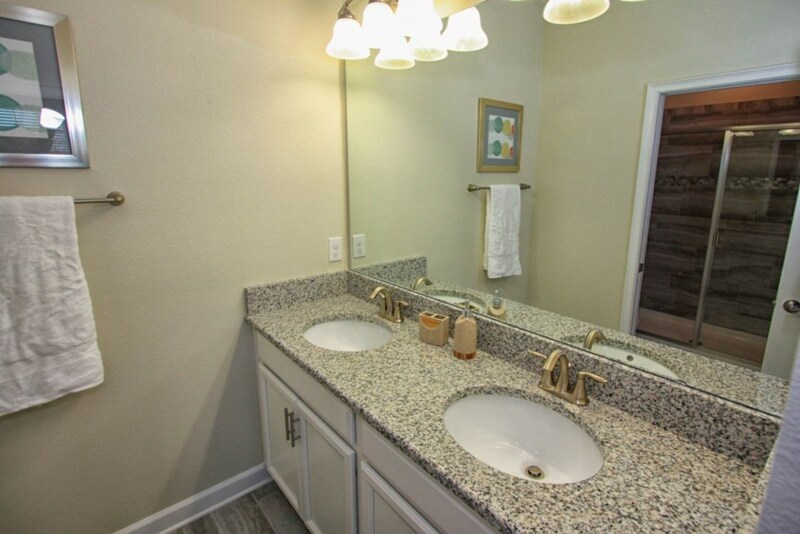 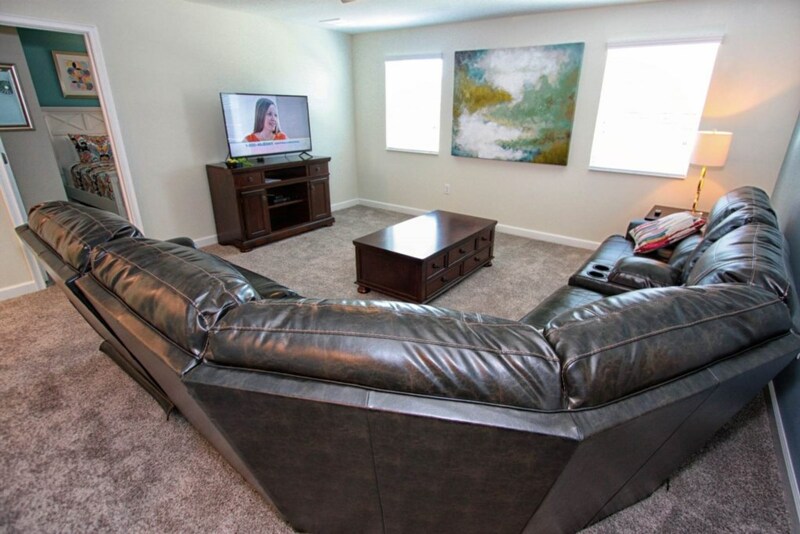 Outfitted with Granite Counter tops and Stainless Steel Appliances, you have everything you need to make a fabulous family dinner or a quick bite on the way out. 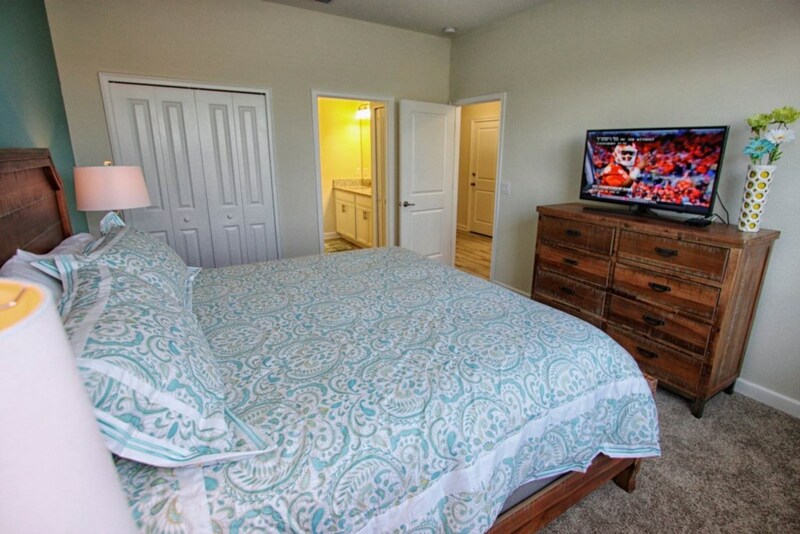 There’s no flipping a coin over who gets the Master Suite, there are 3 King En-Suite Bedrooms in this home to choose from. 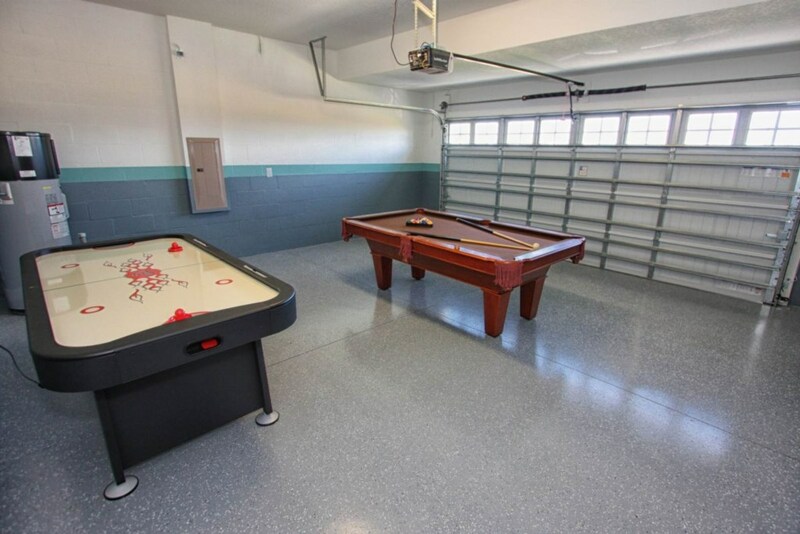 That’s not all – a Garage Game Room offers a Billiard Table and Air Hockey Table for those non-Theme Park days. 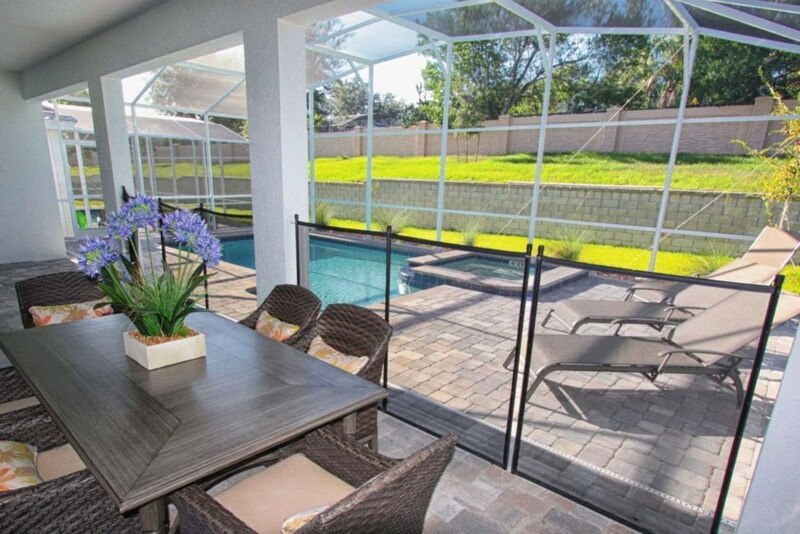 The private Pool Area has two access points, the Pool Bath off the Living Room and through the sliding doors of the Dining Room. 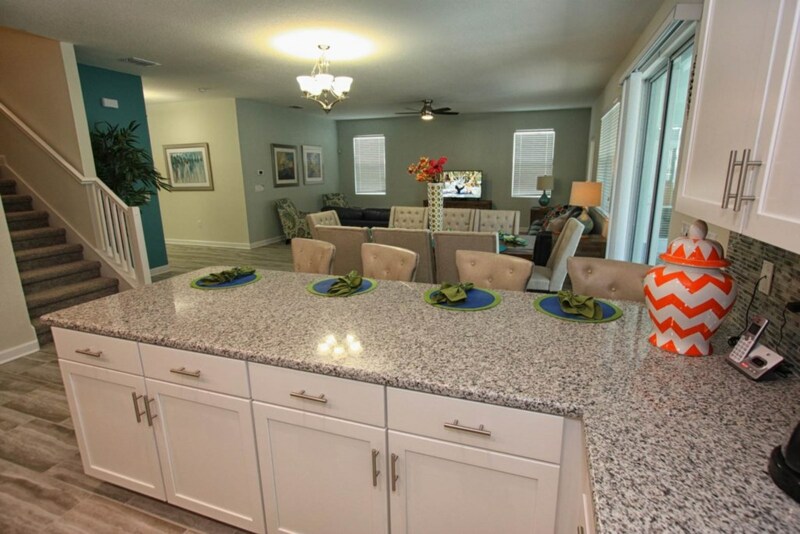 On the oversize Lanai, there is Patio Furniture with seating for 6, 2 Sun Loungers for your relaxation.